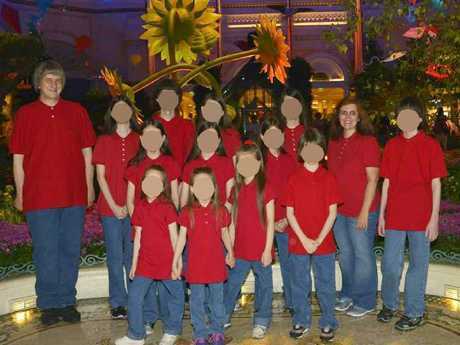 NEW details have emerged about the shocking abuse 13 children allegedly endured at the hands of their own parents when they were held captive in their own home in California. 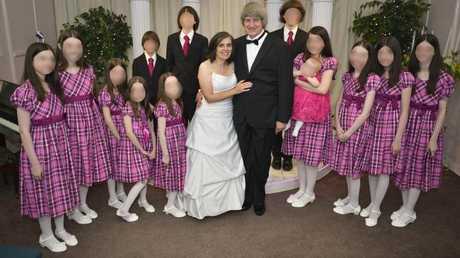 David and Louise Turpin's 13 children, aged 2 to 29, were tortured for years, according to a law enforcement official who spoke to NBC News. There were permitted to shower only twice a year and were served only one rationed meal per day, the unnamed source said. David Turpin, 57, and Louise Turpin, 49, renew their wedding vows with their children looking on. But the law enforcement official told NBC News that the girl is now so malnourished that she had the mental capacity of a child well below her age. The children are recovering in hospital, being injected with antibiotics, nutrients and vitamins through an IV. 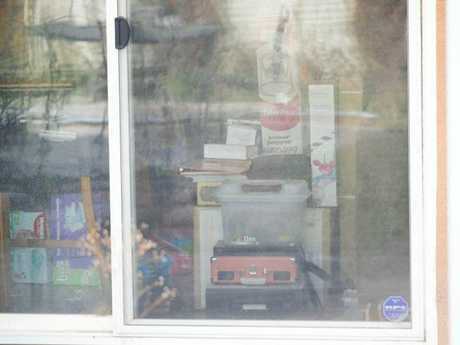 When police arrived on Sunday at the four-bedroom Southern Californian home, about 100km southeast of Los Angeles, they found the starving children shackled to furniture in filthy conditions. The law enforcement source described the rooms as being filled with urine. Riverside Sheriff's Office deputy Mike Vasquez made a similar observation to the Daily Mail. "The smell was terrible. Faeces and urine everywhere," he said. "It's what happens when people are chained up - there's nowhere else to go to the rest room." Authorities told reporters this week that the parents had turned the home into a private school, prison and torture chamber for the kids. A former neighbour said he often saw the children through the windows of the house marching in single file for hours on end. "I'd come home and anywhere from 12.30 to 3 o'clock in the morning [and see] the kids marching between those two rooms up there … just like they were in the military, just making a loop," Mike Clifford told NBC News. Mr and Mrs Turpin have each been charged with 12 counts of torture, seven counts of abuse of a dependent adult, six counts of child abuse and 12 counts of false imprisonment. Mr Turpin also faces a charge of performing a lewd act on a child. They could face up to life in prison. 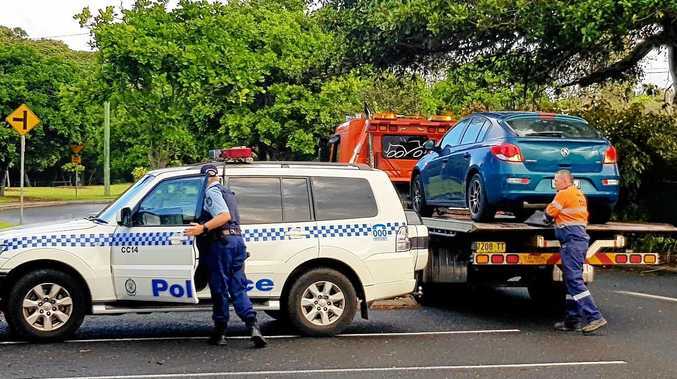 The couple are due to make their first appearance in court on Friday, Australian time. Meanwhile, the children's grandparents say they saw no signs that the children were being mistreated when they last visited the family six years ago. 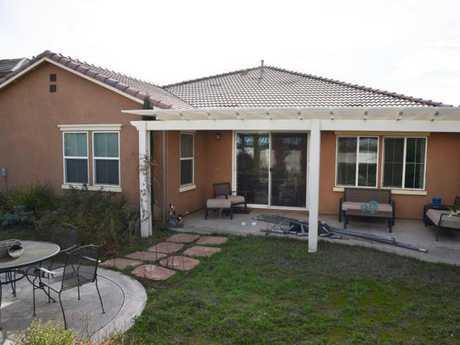 "They were just like any ordinary family," Mr Turpin's mother Betty Turpin, 81, told the Southern California News Group. "And they had such good relationships. I'm not just saying this stuff. These kids, we were amazed. They were 'sweetie' this and 'sweetie' that to each other." She and her husband James visited the family for five days when they lived in their previous home in Murrieta, California. They said they were shocked by the allegations. "I feel they were model Christians," she said. "It's hard to believe all of this. Over the years, the Lord knows what happened." David and Louise Anna with their baby. 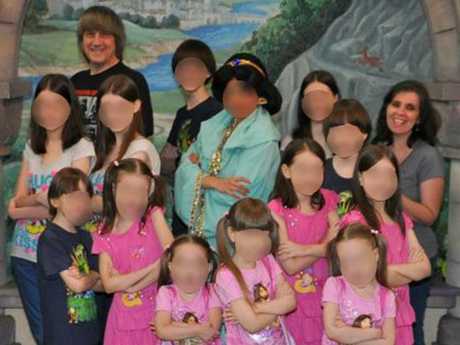 James Turpin said the children appeared to be "well-adjusted" during the visit. "They weren't skinny or nothing. They were joyous to see us," he said. 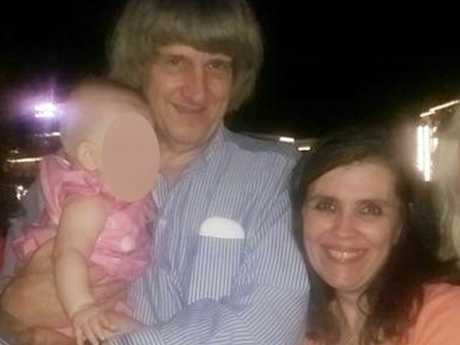 David Turpin told his parents that he and his wife had so many children because "God wanted them to have them". The children were often all dressed the same for outings. Louise Turpin's sister, Teresa Robinette, told the US Today show on Wednesday that the children lived a completely isolated existence. "They weren't allowed to date, or they didn't have a social life," the children's aunt said. "They weren't allowed to watch TV. They weren't allowed to talk on the phone, have friends over, stuff like that. Normal things that kids do." Another sister, Elizabeth Jane Flores, who lived with the family briefly when they lived in Texas, said the parents were "really strict but I didn't see any type of abuse". There are many pictures of the family at Disneyland on Facebook. She did reveal, however, that Mr Turpin engaged in creepy behaviour when she moved in. "If I were to get in the shower, he would come in while I was in there and watch me," she told Good Morning America on Wednesday.